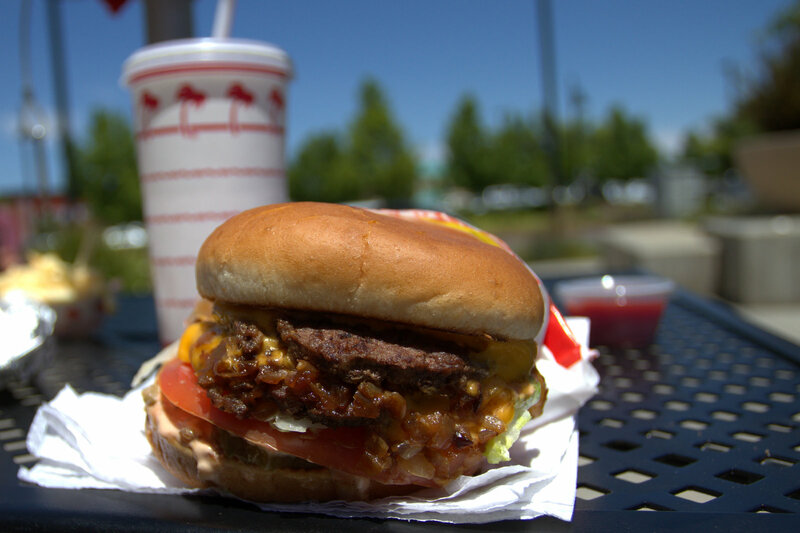 In-N-Out Burger is a family owned fast food chain with over 260 locations on the West Coast of the United States. 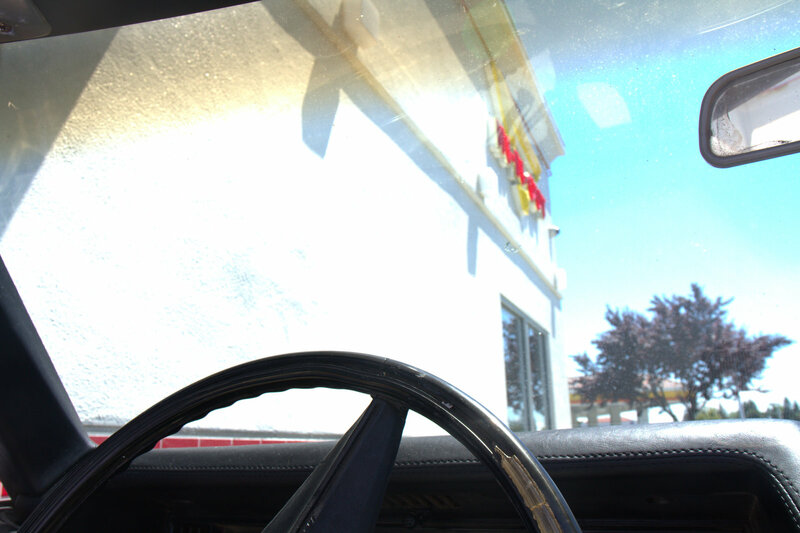 They opened the very first drive thru hamburger stand in 1947 and have kept their family’s food and service philosophy with each store that has opened over the years. 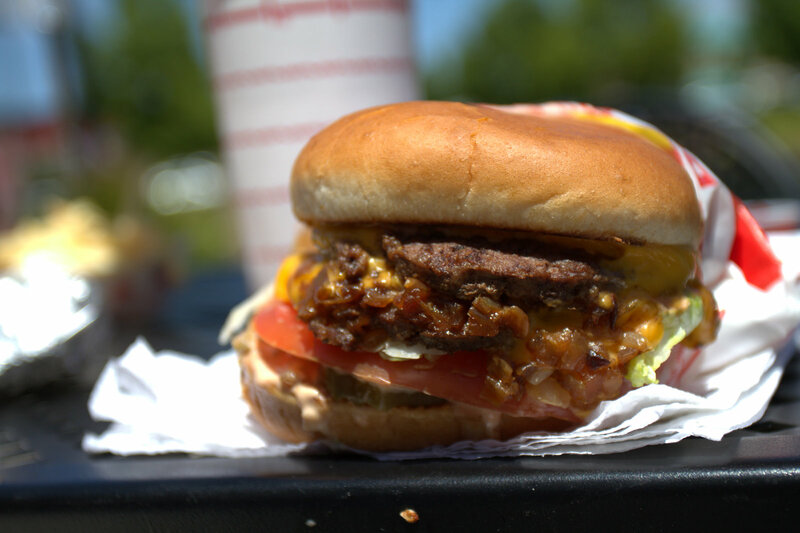 When I was younger, In-N-Out Burgers could only be found in Southern California and Las Vegas. 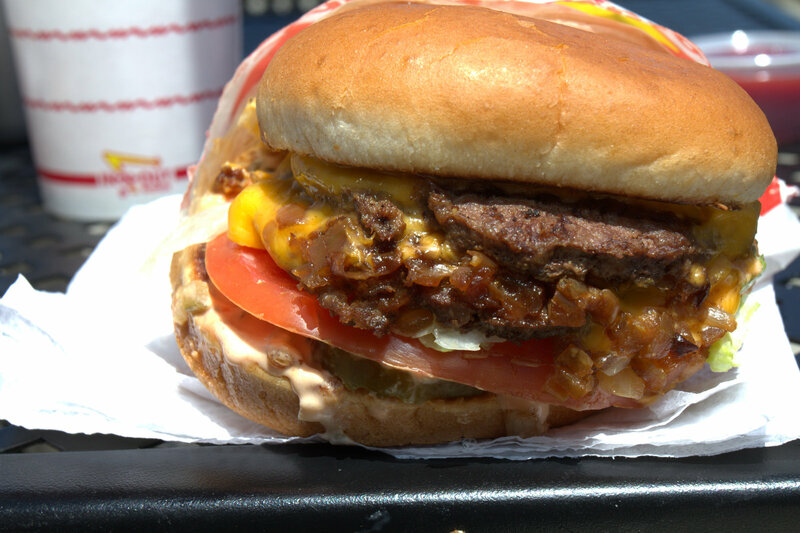 I think I had my first In-N-Out while on a trip to Vegas many moons ago and it was instantly one of those burgers you crave once you can’t have another. My In-N-Out visits back then were few and far between. Fast forward about a dozen years and the Synder family began opening more locations across Northern California. 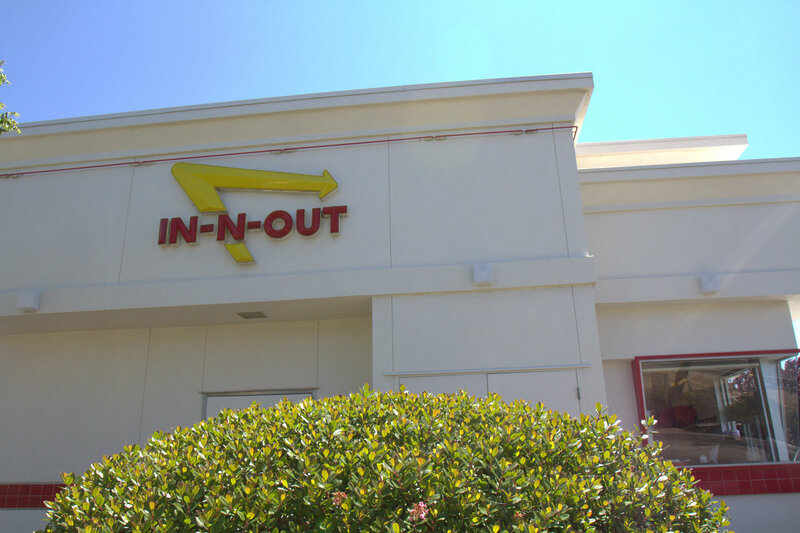 When I was attending UC Davis, I remember an In-N-Out location opened a few blocks from the campus and that was all she wrote. I was there at least once a week (back when I had the metabolism to eat as many burgers as I wanted without penalty). 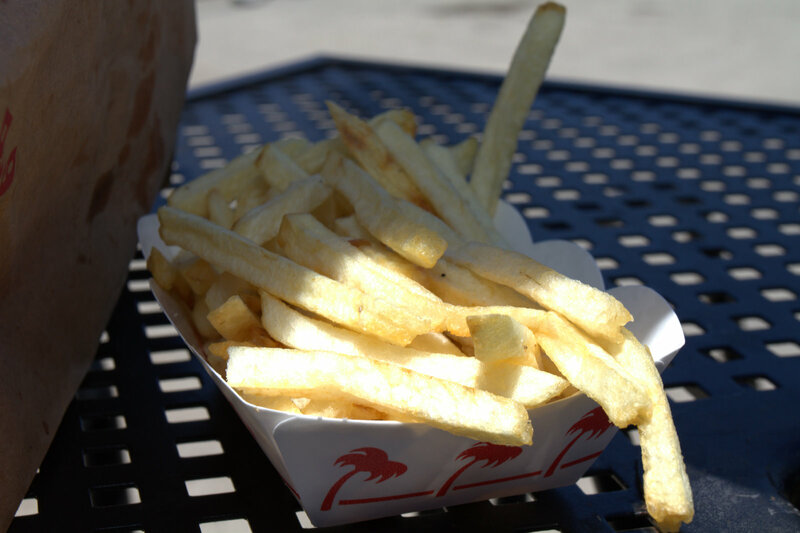 In-N-Out Burger has one of the simplest menus that you’ll find in a fast food restaurant. Heck, in just about any restaurant. Foodwise, they offer burgers, cheeseburgers (with double versions of each) and french fries. They also have a secret menu that I can’t tell you about here. It’s so secret, I can only link you to it. 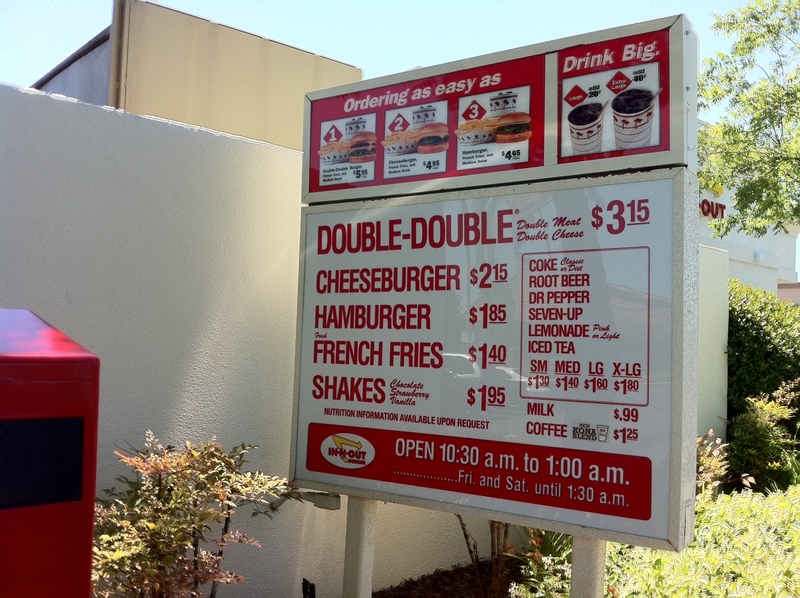 As soon as I learned that they had an “animal style” burger on their secret menu, that’s pretty much all I’ve ordered. With the animal style burger, they grill your fresh beef patty in mustard, add extra secret sauce spread, extra grilled onions and pickles. For this adventure I ordered a double double (double meat, double cheese) animal style, so I could compare it with the bacon cheeseburgber (two patties) at Five Guys. 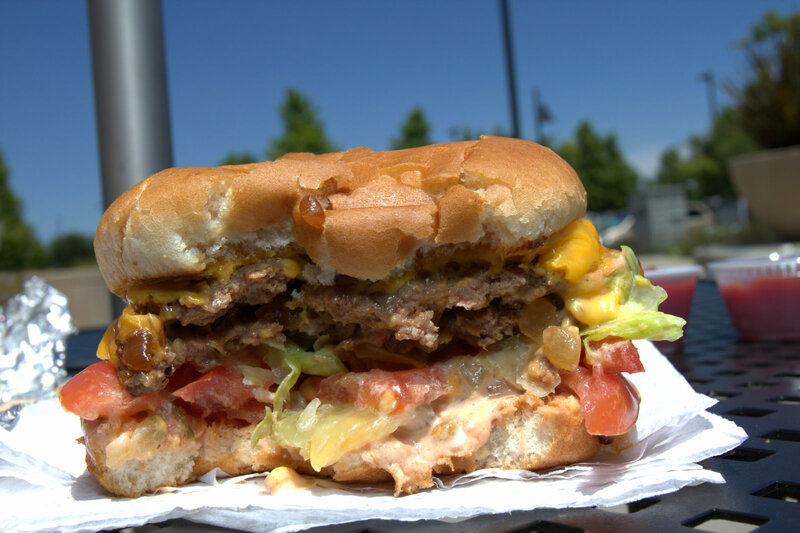 I usually go for 3×3 or a 4 by because the patties at In-N-Out are a bit smaller than other burger joints. The grilled mustard on the patty adds just a bit of tanginess while the grilled onions compliment it with their sweetness. Their secret sauce is pretty much the standard thousand islandy kind of secret sauce, but there’s something a little extra special about theirs. I haven’t been able to put my finger on it, but I love it. The patties, cheese and onions form together in a gooey, burgery compound that is both juicy and a good kind of salty at the same time. 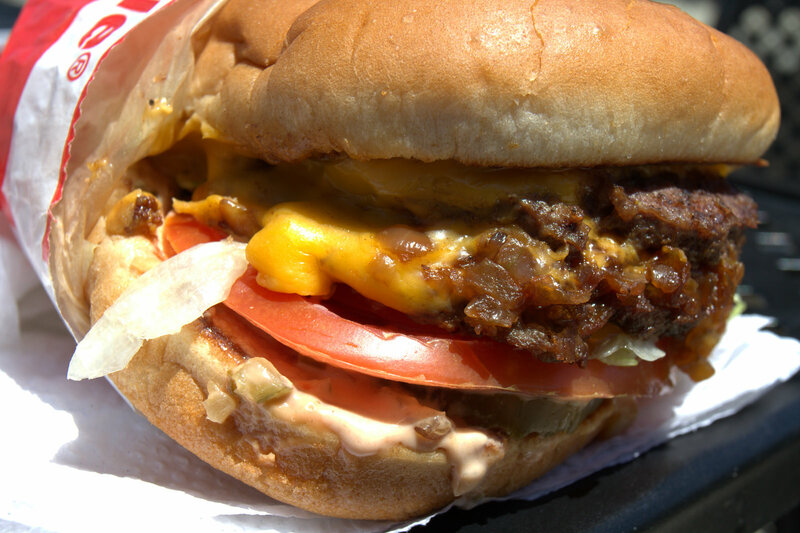 The lettuce and tomato toppings always taste super fresh and the bun has a near perfect bakery quality that is surprising for a fast food joint. 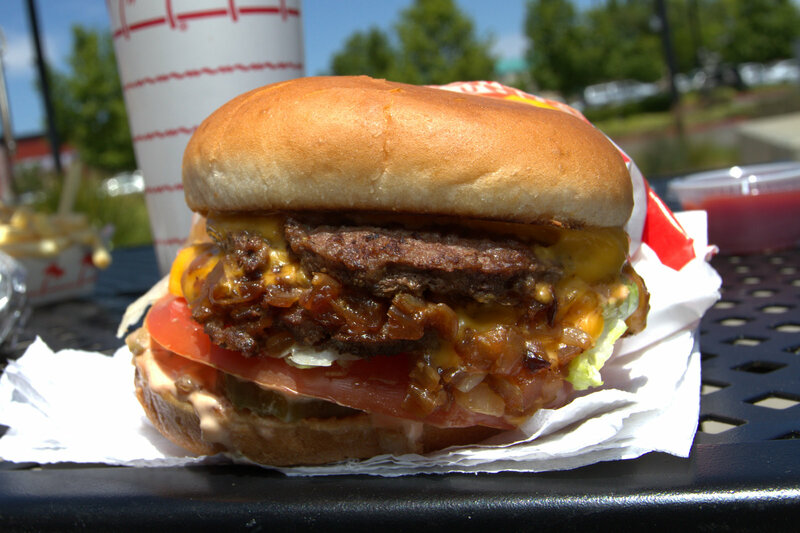 In-N-Out delivers one of those burgers that is beautiful in its simplicity. Just quality ingredients at a great price. Even though their burgers are cooked well done, they still have a good amount of juiciness and the freshness of the beef comes through with each bite. Their simple customer-facing menu coupled with their not-so-secret secret menu give them a few extra B factor points. Stay tuned for my follow up blog post with a more detailed In-N-Out vs Five Guys comparison.